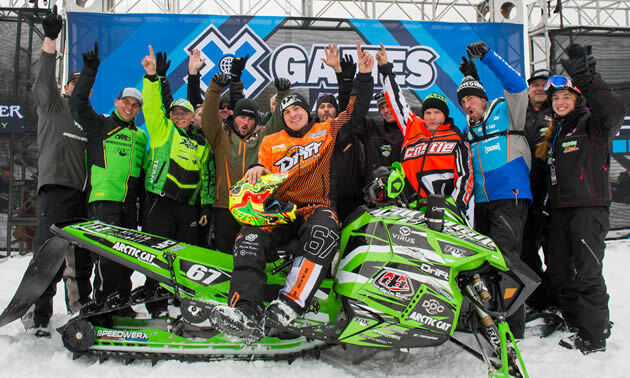 SnoRiders chats with cross-country snowmobile racer and X Games gold medallist Ryan Simons. Alberta's Ryan Simons is no stranger to the world of snowmobile racing. In fact, he?s been at it for so long that he sometimes forgets all the events he's won. The 33-year-old from Camrose has been competing since he was 17. 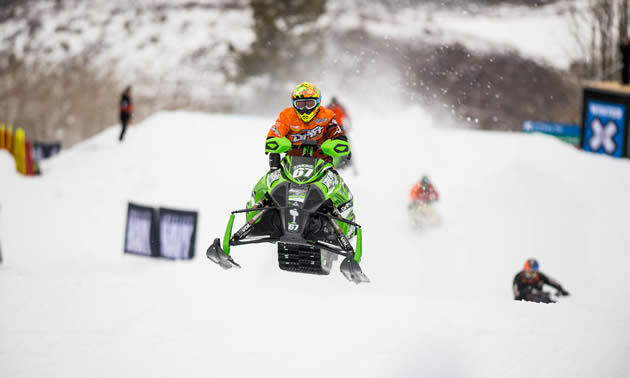 In the early days of his career, Simons was a top contender on the U.S. national snocross league, but after years of bending bars with the best in the business, Simons turned his attention to the nation's professional cross-country circuit. Since then, he's tackled some of the longest and toughest races in the world, such as the I-500 in Michigan and the Iron Dog in Alaska. In a recent interview, Simons told SnoRiders what he?ll be up to this winter. Folks in Western Canada aren?t familiar with cross-country racing, so can you tell us what it?s like? It?s just really high speed. A lot of people struggle with the speed of it, but for the most part, you know what?s coming on the courses because you usually get to do a parade lap?except at the I-500 and bigger races like that. In a cross-country race, things can go bad in a hurry, I know that much. You?re going 100 miles per hour down the ditch so things can get sketchy. I?d say my biggest accomplishment that I?m most proud of is my ?07 season. I was ranked second in the world on the WSA (World Snowmobile Association) series in Pro Stock and Pro Open. As well, I got a silver medal at X Games that year. That was a really good year, and then in ?09, I got another bronze medal at X Games and then this past season the gold medal in hillcross. And I think I have five cross-country championships now. The 2015 Winter X Games was your first introduction to hillcross, so what did you think of it? It was cool. It?s just such a short burst. It?s not a long adrenalin feel, but it was really fun. All the guys I rode with were fun, but it was pretty much what I expected coming in. Preparing for it, I rode up a hill twice maybe. 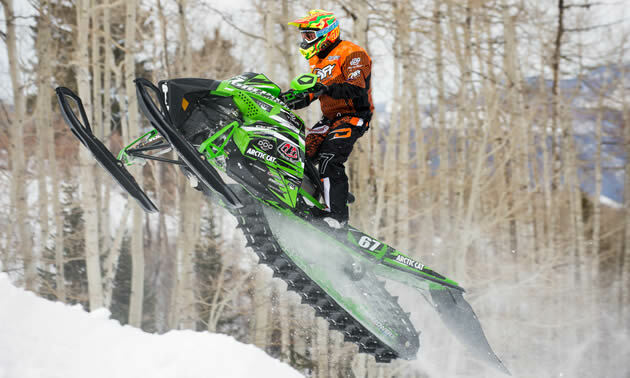 I got to ride with Tucker (Hibbert) and I rode on the snocross track for two days prior. I tried to get some of my timing back and my rhythm from my snocross days. It all came back relatively well and felt good, so yeah, I was confident going in. It was a big relief more than anything. I had a lot of people behind me on the event. I never could have done anything without them. The guys at Speedwerx put in a ton of time and effort. Steve and Jeremy worked day and night getting tuning done on the sled. With them and my mechanics, I wouldn?t have been able to do any of it. My mechanics have been behind me for years and years. To get a gold for them was pretty cool. Crossing the finish line, I was just like "phew, this is done. I?m over with it, finally." What are your plans for the upcoming winter? I?ve had a couple of people ask me that and I don?t honestly know. I will be doing hillcross at X Games again. I?m expecting everyone to step up their game so it?s not going to be easy. All the riders that rode last year are talented dudes so it will be good. And then the Iron Dog, that?s going to be my main focus for the year. If one of my teammates wants me to ride with them for the Soo I-500, I?ll do that again. I?d love to do it all. I?d love to do the whole cross-country series again and the I-500, but with the company and everything at home, it?s a time thing now. Do you ride much in the backcountry? No, and I love it. I always got super cool sleds back home to ride and I?d love to do that stuff. That?s another part of the reason why I?m not doing the whole cross country series. (I want to) spend more time with family and friends and enjoy my snowmobile a little bit. What kind of riding do you like? I like mountain riding. I like getting out to Blue River, Valemount, Revelstoke or Golden?any of those places. I?ve been fortunate enough to ride a few places across Alaska, Colorado and Yellowstone, Montana. What sleds do you currently have in your garage? As we speak, it?s the lowest I?ve ever been on sleds. All I have are my X Games medal sleds that are hanging on the wall. My gold medal sled is on its way here. I haven?t seen it since Aspen so I?ll have that here soon. And then I have four new sleds that should show up here in the next month or so. Two M?s and two trail sleds of some sort that I can ride around here?one for me and one for my girlfriend. Of the racing disciplines you?ve tried, do you have a favourite? I?d say snocross, just for the fact that it got me to where I am today. Without it, I wouldn?t have a career in snowmobiling. And it?s definitely the most demanding snowmobiling aspect I think anybody can do. It?s the hardest and I did fairly well at it, and it was just a large chunk of my life so definitely snocross. Are there any sponsors you?d like to thank? Arctic Cat, Speedwerx, Christian Brothers Racing, Fox, Carver Performance, those are my main sponsors that have really helped me out. And there?s tonnes of people who have been by me, friends and family. It?s not something you do by yourself, especially snocross. You basically have to decide if that?s your life or not. It?s a seven day a week, many, many hours a day job for seven months of the year.